If it's one of those days when you have no veggies in your fridge and are too lazy to drag yourself to the grocery store, don't worry we've got you covered. 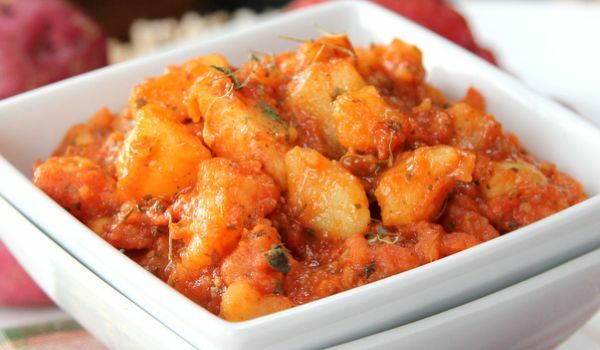 Just chop some potatoes and with this delish curry you're all good to go. Wash potatoes, peel and cut into small pieces. Cut onions and green chillies into small pieces. In a pressure pan, heat oil, add onions and green chillies and fry until the onions turn light brown. Now add potato pieces and fry for 2 minutes. Add turmeric, salt and chilly powder. Pour down 2 cups of water, close the lid of the pan and cook for 3 to 4 whistles. Now make a thick paste of besan using water. Open the pan lid, add the paste in it and mix well. Now your Potato Gravy is ready.